(The generally accepted plural is seraphim, singular seraph, but the King James version goes its own way). In Hebrew, 'Seraphim' means fiery ones. The description of their six wings and fiery nature has been followed closely in art. Baptistery, Florence. 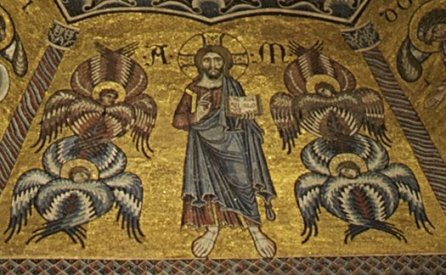 The higher figures are the seraphim. 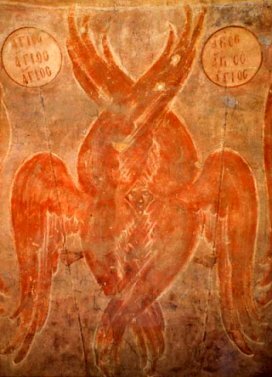 Seraphim are the most senior of all the angels, and their function is to glorify God, and not to concern themselves with Earthly matters. There is. 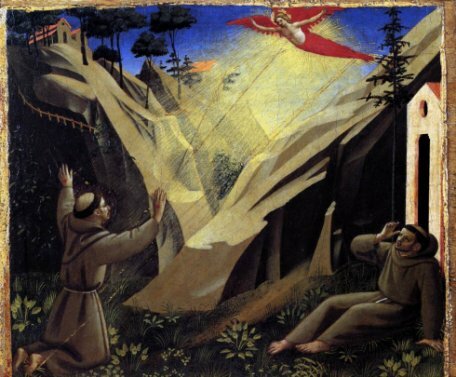 however, one legendary exception: The stigmatisation of St Francis was traditionally performed by a seraph. This is drawn from the writings of the Franciscan thologian Bonaventure, who had a lot to say about them in The Journey of the Mind to God. This idea is intended to support the notion of Francis as the new Christ. 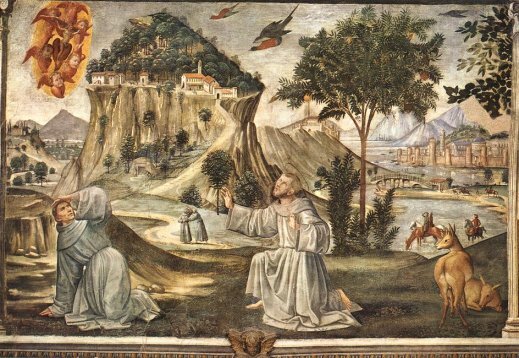 Upper Church, San Francesco, Assisi. 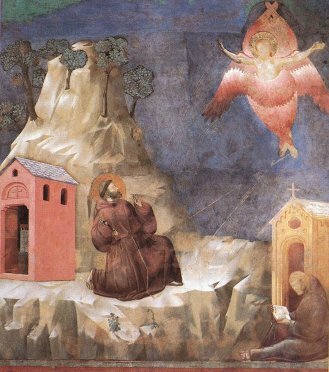 Attributed to Giotto but almost certainly not by him. 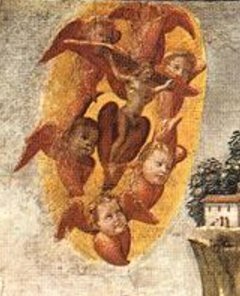 This later version by Domenico Ghirlandaio from Santa Trinita in Florence is interesting in showing the seraphim as children: this is an approach to the depiction of angels we will look at in detail later.